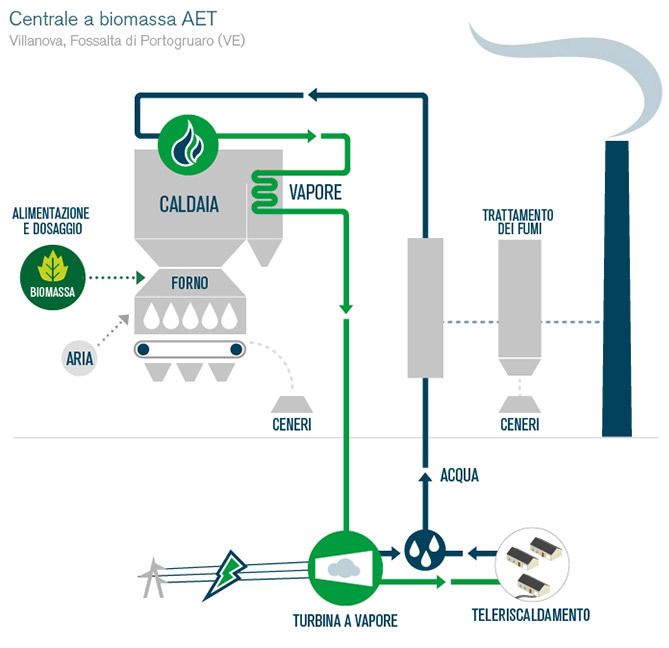 L’impegno dell’azienda per il rispetto dell’ambiente si evince dalla scelta dell’impianto. The Company’s commitment to the environment is clear from the choice of the system. Thanks to the suspended biomass combustion, its high efficiency, its dramatically reduced emissions compared to traditional combustion systems, the use of biomass itself is optimised. The survey campaigns carried out independently by ARPA Veneto and the Politecnico di Milano (Milan) (pre-construction and post-works) show a very good level of air quality in Fossalta di Portogruaro, which is quite similar to that monitored by the base station of Concordia Sagittaria. The latter is classified as ARPAV rural background, by reference, as part of the regional network of air quality monitoring by the Provincial Department of Venice. Finally, the comparison of air quality before and after operating did not show significant variations.